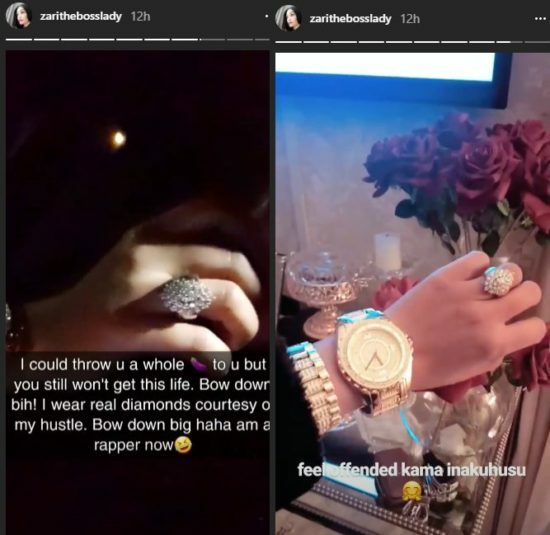 Zari Hassan,the ex of Tanzanian star,Diamond Platnumz took to social media to shade his side chick turned babymama,Hamisa Mobetto after fans pointed out the latter keeps imitating Zari. 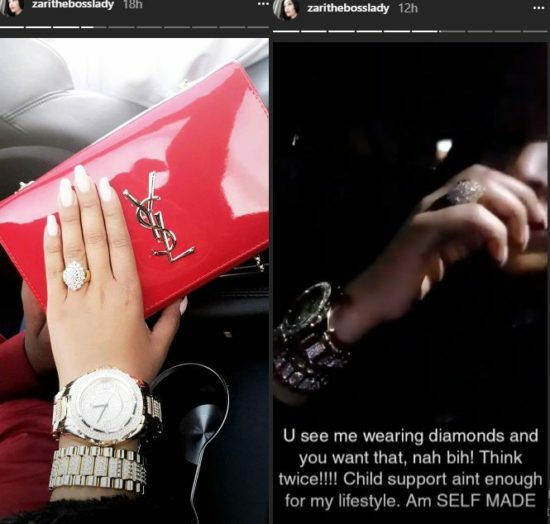 Flaunting her diamond encrusted watch and ring,she revealed child support checks isn’t enough to life her lifestyle because she is self-made. Zari broke up with Diamond on February 14th,2017 after serial infidelity on his part. She has two kids with him and three with her ex- late husband,Ivan. 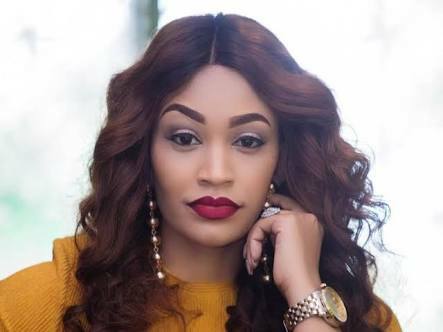 0 Response to "Diamond Platnum’s Ex, Zari Hassan Flaunts Her Diamonds To Shade His 2nd Babymama"